Laptops, breaches and soap: they could all mean money for you! You could be owed money! Lawsuit settlements involving Experian, Lenovo, and Dial soap could mean money for you. If you had fallout from the 2015 Experian Data Breach, you could get part of the 22 million dollar settlement for your time dealing with it. The deadline to file a claim is April 11, 2019. 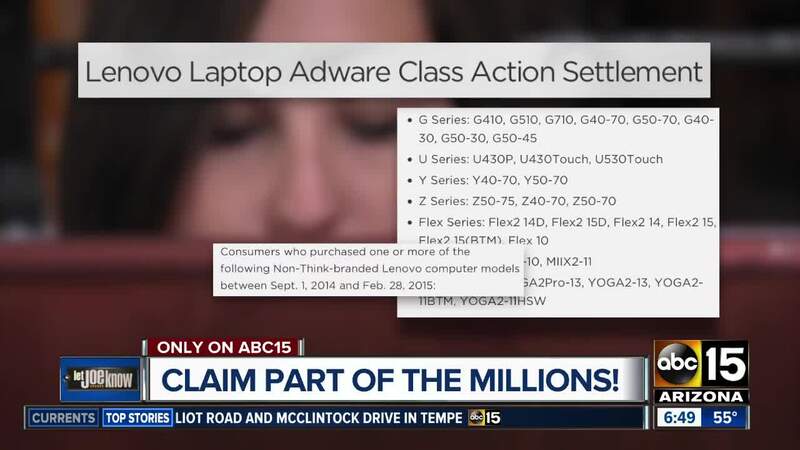 Lenovo reached a lawsuit settlement over allegations certain Non-Think branded laptops included adware that slowed the computer. You could get up to $750 if you can prove loss in dealing with the issues. It involves those bought between September 2014 and February 2015. Act quickly. The deadline to file a claim is March 25, 2019. If you bought Dial Complete Foaming Liquid hand soap between January 2001 and 2018, you could get money back. Lawsuit allegations were that the product was not more effective than lesser priced products. The deadline to file a claim for part of the $7.4 million settlement is April 12, 2019.